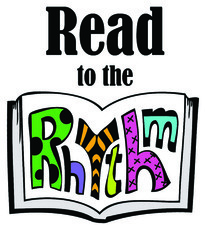 Get ready to sing, dance and make some noise this summer during our Summer Reading Program for all ages! Participate to earn prizes throughout the summer. Babies, kids, teens and adults can stop in and pick up a summer reading log starting June 1, then listen, watch and read their way to summer fun! Prizes available starting June 8. For families. Get ready for a joyful sing-along, clap-along musical experience with favorite children’s musician Jim Gill! We’ll be outside (weather permitting), so bring a blanket for everyone to sit and enjoy the concert together. Stay for ice cream after the show! Register for a reminder email or text. Welcome Spring with this hands-on painting workshop. We’ll sketch flowers from photo reference, and then add color with water color pencils. Christine Thornton will teach the basics: how to draw from observation as well as wet on wet and dry brush painting techniques. All materials provided. Please register in advance so that we can have enough supplies for everyone. For adults and teens over 13. Beginners welcome! Learn techniques to get you past your brick walls. Overcome problems with the spelling of surnames; learn to search in the correct location and review cases that will help unlock treasures to be found in the early U.S. census records. Join professional lecturer and researcher, Steve Szabados, as he reviews various advanced search techniques that he has used to find the documents for his family histories. Space is limited, please register in advance. Get into the groove of Summer Reading with a musically inspired art project. Come explore new techniques and hone your skills while connecting with other artists. All materials provided, pre-registration required. For adults and teens over 13. Beginners welcome! Join Peter Hix of Hix Bros. Music for a fun hands-on introduction to the ukulele. Learn basic chords, rhythm, a little ukulele history, and have lots o’fun. We’ll supply the loan of the ukes! No experience necessary. For adults and teens over 16. Love to read and discuss books? Join one of the Library’s book groups, and enjoy lively discussions of all genres of fiction and non-fiction titles. Copies of the books will be available at the Checkout Desk. Unleash your inner artist! Come explore new techniques and hone your skills while connecting with other artists. Beginners welcome! Check our online calendar for details. Please register in advance so that we can have enough supplies for everyone. For adults and teens over 13. Sat., June 20, 10am–12pm Art to the Rhythm! Join a merry band of folks who love writing and get together every other Tuesday to create, share, and encourage the art of writing. New members always welcome. Please register, so we’ll know you’re coming. Explore the world of designer board games! Learn a new game, or play a classic. Beginners welcome. For adults and teens over 13. Find and share new genealogy resources, bring your research and ask questions. Check our online calendar for special presentations and speakers. Spread out and study for finals at Messenger Public Library. We’ll have snacks and study break activities as you prepare to ace your tests! No registration required. Registration requested for Saturdays and Sunday if you want pizza at 2pm! Grades 9–12. Arrive early with a calculator, #2 pencils, a water bottle, and a snack for the break. Registration required. For families. Join us for stories and a craft aimed at ages 3–6. Registration required. Ages 2–5 with caretaker. Families, enjoy stories, songs, and rhymes on Saturday! No registration necessary. All ages. Tie-dye fun for the whole family! Bring a white shirt, be ready to be outside for a little while, and dress to get messy. Drop-in program, no registration necessary. For families. Drop in to test your Guitar Hero Wii skills and enjoy old school board games. No registration necessary. Schedule a one-on-one session with a reference librarian for assistance with your research, software, technology or downloadable eBook questions. Please call the Adult Services Information Desk in advance to check for librarian availability.